If you have ever had a spot, and let’s face it everyone has, you will know how tempting it is to get in there and give them a good squeeze. You’ve probably also heard that you shouldn’t and unfortunately, this is true! When you pop a spot, you may make your skin worse. But what are the facts behind popping and picking at blemishes? Read on and find out! Why do we pick at a pimple? Blemishes are caused by a pore being clogged by dead skin, oil or dirt and debris. When you pick at or squeeze a pimple, what you’re ultimately trying to do is remove the clogging within the pore so that the infection around it can heal. Sounds like a logical way to get rid of a spot doesn’t it? But as you’re about to see, picking and popping does more harm than good. What’s the difference between extracting a pore clog and popping a pimple? It is true that a skincare specialist (for example a therapist in a spa) who’s treating someone with blemishes or blackheads may do a “pore extraction” to remove a clog – don’t confuse what a professional is doing with your at-home popping method! A skin care professional will be able to extract pore clogging debris without irritating the skin around it or making the situation worse. This is because they’re specially trained to do so and unless you have been too, you most likely won’t be able to do that! Is it ever okay to pop a pimple? If your spot is at the end of its lifecycle, which can usually be identified by it having a large white or yellow head at the surface (we’re sure you know what we mean! ), you may be able to gently help it along. This stage of the blemish means that the infection and inflammation is over and the resulting puss is ready to go! If you don’t get to it first, the pimple will pop on its own eventually. What can the results of popping a pimple be? 1. You may push the bacteria and inflammation deeper into the skin. You may think that you’re moving the clog to the surface of your skin, but chances are that your squeezing is actually pushing the clog, the bacteria and the inflammation further and deeper into the skin. That means you can expect for it to take even longer for your blemish to disappear, which we’re betting you don’t want! 2. You may spread the bacteria to the surrounding skin. While you’re squeezing your spot, it’s very likely you’ll spread the bacteria to the surrounding skin, which could mean redness and irritation… or more blemishes! 3. You may create a scar or mark. Squeezing, picking and popping all damage the skin. The end result may be that you get rid of the blemish but end up with a scar or a mark – and if you think it was difficult to find an effective blemish treatment, finding a blemish scar treatment is even more of a challenge! For lighter marks, you can try using our Environmental Shield range, which can repair and heal the skin reducing the appearance of scars, but for deeper acne scars you may need visit a dermatologist. 4. You may transfer more dirt and oil to your skin. Your hands carry dirt, oil and bacteria and you transfer them to your face every time you touch it. If you have blemish-prone skin, you want to be touching your face less, not more! We know it’s hard to not pick and squeeze at pimples when you see them. Part of it is just will power and self-control – and we hope that the info on scarring helped put you off! But in case it isn’t enough, we did find one great tip to reduce the temptation to pick: Reduce the intensity of your lighting in the bathroom! We know this might not sound like it will do much to prevent you from pickling but switching to a more natural light means that when you go to examine yourself, you will be a lot less tempted. What’s a better solution than popping pimples? Salicylic Acid penetrates deep within the surface of the skin to exfoliate away pore-clogging skin cells while also fighting acne-causing bacteria. This powerful formula quickly clears active breakouts and prevents new blemishes from fully forming – it’s the essential SOS treatment! Doctor’s have been warning people not to pick and pop for decades, but controlling the urge seems to go against our natural urges! Fortunately, if you find an effective blemish treatment regimen and remember all of the negative outcomes of picking and popping, it will (hopefully!) be easier for you to remember to keep your hands away from your face. 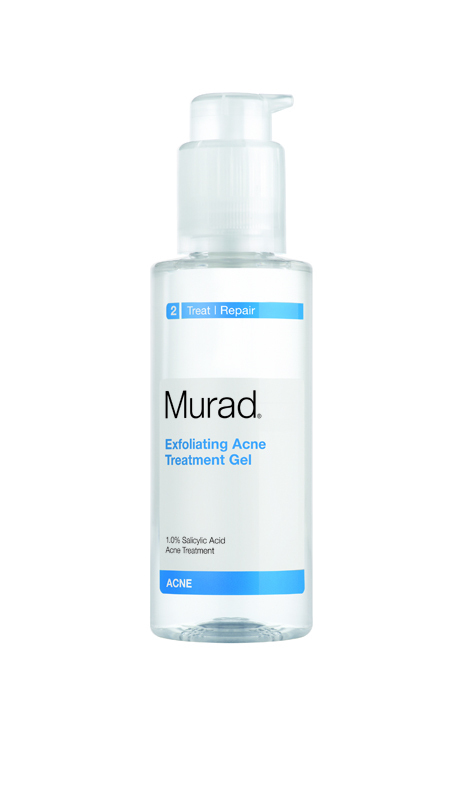 This entry was posted in Acne and Spots, Topical and tagged Acne, acne scars, Blemishes, picking spots, popping spots, Spots by muraduk. Bookmark the permalink. be shared around the internet. Shame on Google for now not positioning this submit upper!